Now available individually. Never again struggle to cut a nice round clean hole through a panel. or up to 2mm in aluminium, copper and brass. 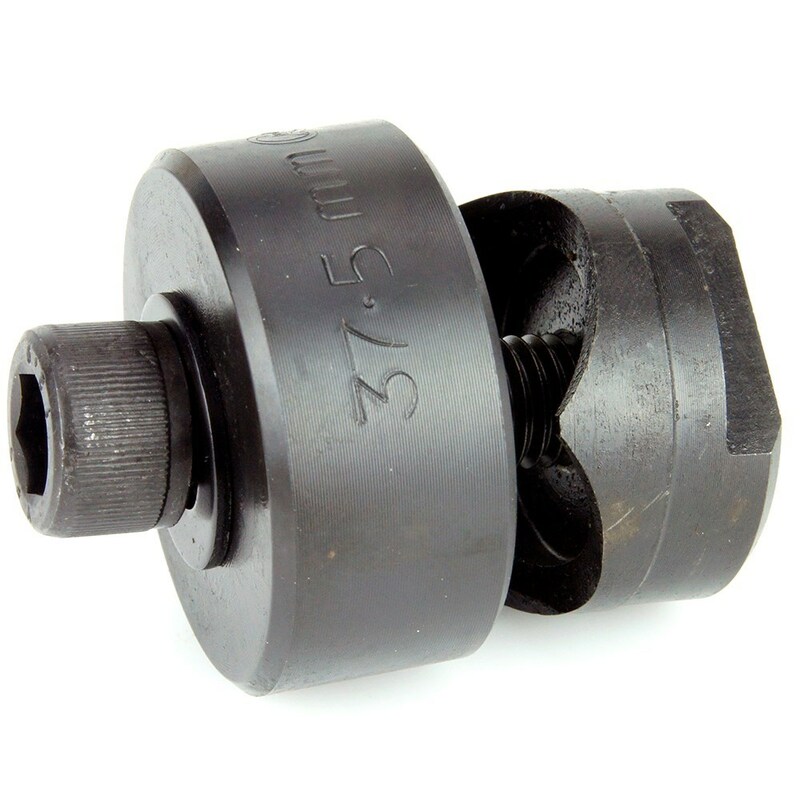 Simply drill a pilot hole, assemble the punch and wind it through with a regular hex key - it couldn't be simpler. 1 x 4mm to 12mm. 1 x 4mm to 20mm. 1 x 4mm to 32mm. 1 x 1/8" to 1/2". 1 x 3/16" to 1/2". 1 x 1/4" to 3/4".